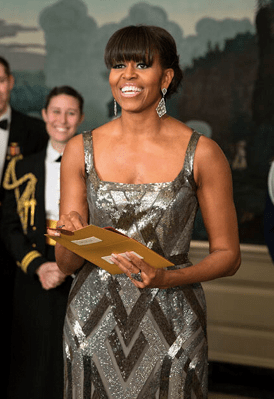 Did you know you can wear an art deco dress just like Michelle Obama and Halle Berry? Sydney’s Closet carries this fabulous dress up to a size 22, and it is on sale. Michelle and Halle looked amazing, and isn’t it nice to know you can too! Update Fabruary 25, 2013: I have been coveting this Sydney’s Closet deco dress for months, but even when it came in a size 24, I knew it was way too small for me. When I buy a dress at Sydney’s Closet it works best if I buy from their Signature Collection, and I buy a size 30 and have it taken in. Since I am 64 and carry a lot of weight in my torso and most of the dresses I like are made for teenagers I have to find a way to make it work. But I just could not find a way to make this work as much as I love it.